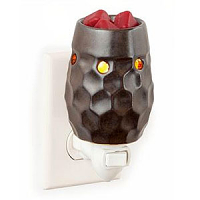 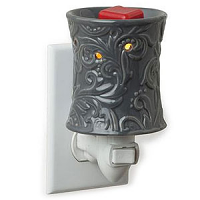 These mini candle warmers plug into regular outlets and sit right on the wall. 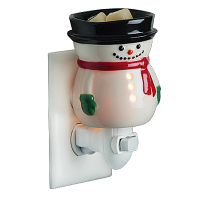 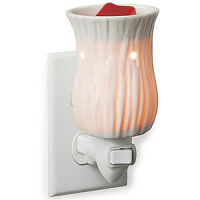 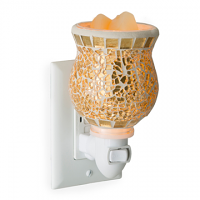 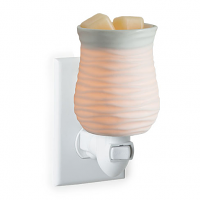 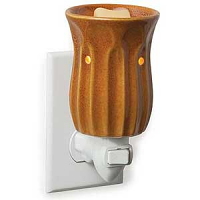 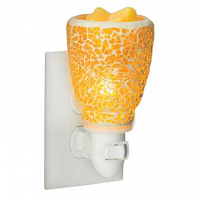 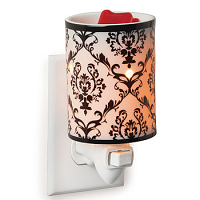 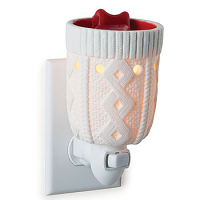 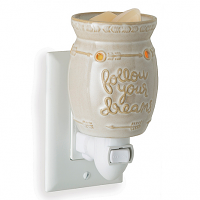 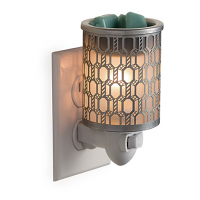 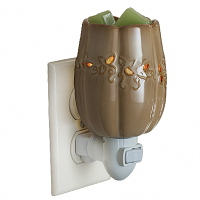 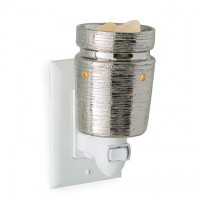 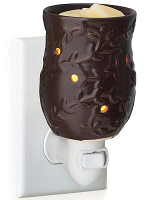 Our electric wax warmers use a special light bulb which warms up the wax melts, releasing the fragrance into the air. 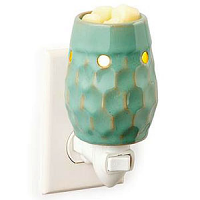 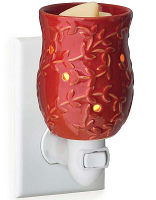 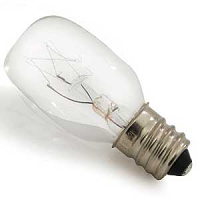 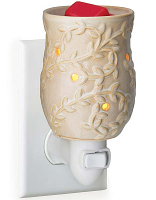 The small holes allow the light from the bulb to shine through the plug in fragrance warmer, giving off a soft glow. 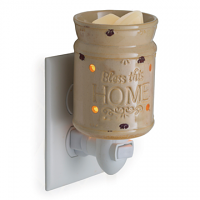 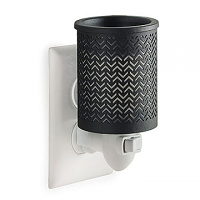 These small tart warmers are perfect for small rooms such as bathrooms or guest rooms and can double as night lights for the kids.